We find the strongest marketing and PR mix to make your brand connect with customers. Our extensive industry experience ensures we know how to take your brand strategically forward whilst retaining brand integrity. Brand management guidelines ensure that the vision of the brand owner is maintained at all times, from site-building to training, from promotional to digital. Fragrance Factory’s team of professional experienced Brand Managers know how to adapt strategy to the retail environment, how to develop roll-out strategies nationwide, keep projects on budget and deliver them on time. 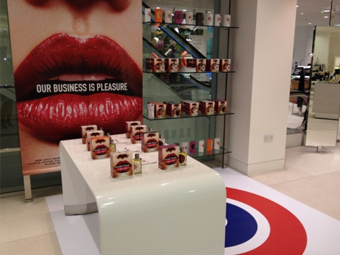 We deliver a consistent brand message throughout communication to customers, on all platforms from in-store to online.